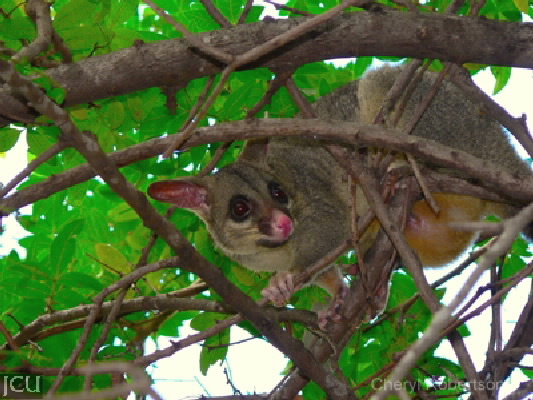 The brushtail possum is common around the campus, may be seen asleep in trees or heard climbing over roofs, and coughing and hissing. The body is grey to gingery in colour with a black tail and grey paws. Diet of fruit, flowers, leaves and insects.